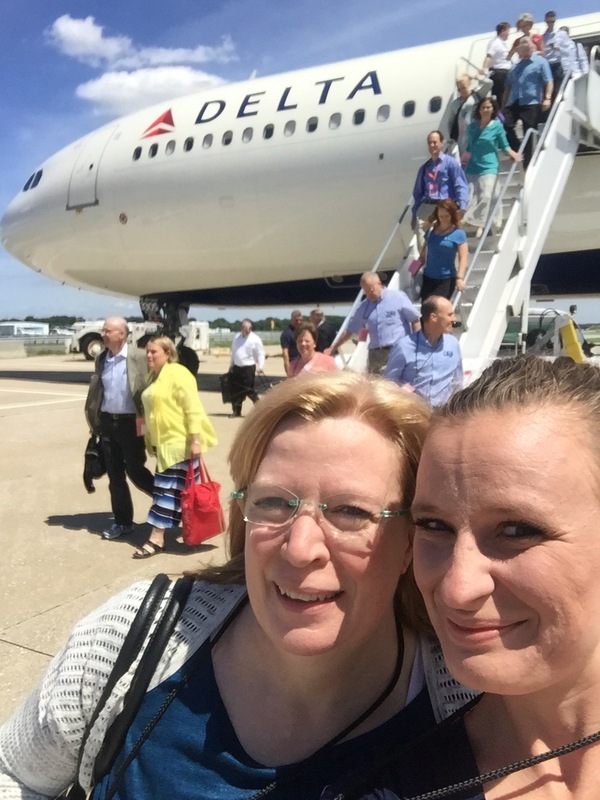 Recently I was able to join the Mormon Tabernacle Choir on their two week Atlantic Coast tour as a companion to my mom, who is a member of the choir. It was quite an adventure! We went to Washington DC, New York City, and my personal favorite, Boston. 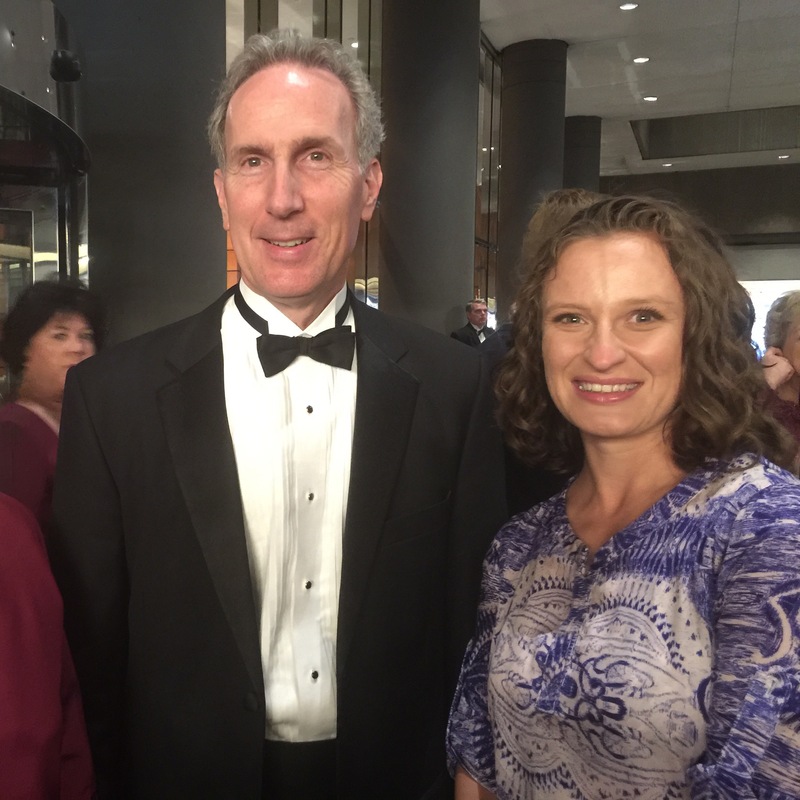 And others, including singer Alex Boye, Music and the Spoken Word announcer Loyd Newell, and Senior President of the Seventy Elder Rasband. I went to a lot of concerts in amazing venues and settings. 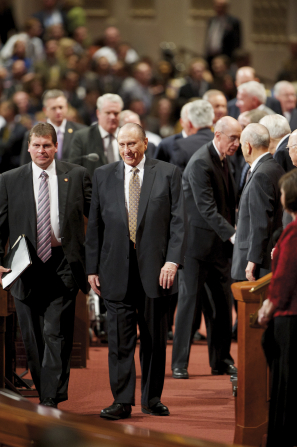 It was an interesting peek behind the curtain of one of the most recognizable parts of The Church of Jesus Christ of Latter-day Saints. As we watch that sea of faces on their weekly broadcasts and general conference it’s easy to forget they are each their own person. Most of them are not known for their individual achievements and abilities, only as a whole do they have fame and prestige as they all follow one guy in the front waiving a baton. We, the audience, don’t get to see the training, discipline and sacrifice that is required to be a member of this storied organization. It is easy to discount their individual contributions and only think of them as a group of people just following the directions of the brilliant Mack Wilburg and Ryan Murphey. Each performer in the organization is a highly trained musician. 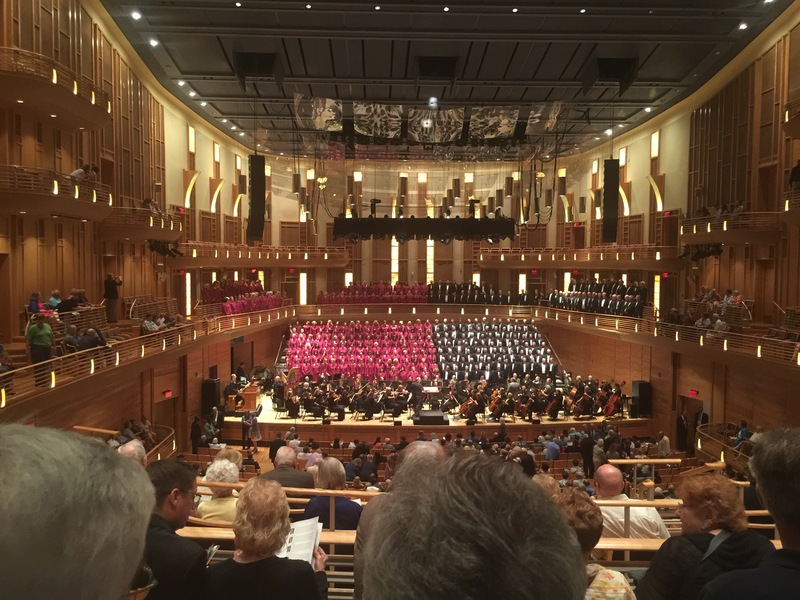 To achieve the precision and musicianship The Mormon Tabernacle Choir and The Orchestra at Temple Square perform at requires incredible discipline. That discipline allows them to follow even the most minute direction from their conductor required to achieve the sound they are known for. The more precise they are, the better they are able to join together, not to be seen as individuals but as a whole unit, to testify of Jesus Christ through music. It is not a mindless pursuit, but one that only finds success as each individual comes prepared and wiling to contribute to the whole. They do not follow the conductor because they can’t sing by themselves, they follow the conductor because they know that together they can achieve more than they can alone. Often the general membership of The Church of Jesus Christ of Latter-day Saints is viewed as being mindless sheep, following blindly the guidance of the prophet. We are often accused of being unable, or sometimes not even allowed, to think for ourselves. In fact, the opposite is true. Becoming a true disciple of Jesus Christ, for whom the prophet is the mouthpiece, requires that each of us individually choose to follow Him. The discipline that we cultivate through our obedience to the commandments makes it possible for us to follow even the most minute direction from our prophet. We choose to follow those commandments, not because we are unable to think and decide for ourselves, but because we recognize that as we use our individual talents and abilities to contribute to a unit we can achieve far more than we can as individuals. The more I learn and grow the more I choose to follow the prophet and Jesus Christ. Any strength I have is not despite that obedience, but because of it. My individual contributions may be small and unrecognizable to an observer, but I know that my Savior is well aware that I am choosing to follow him, and loves me no matter what. I wondered how you got to go with them, I wish I had been able to. Lately I’ve been feeling sad that I don’t have parents or grandparents in the church, I have been hearing lots of stories like these where a parent goes to the temple to ask important questions to support their child, or like you going on the tour etc. That is not an experience I will have. Moving along from the sad… I echo everything you said about following the prophet and our agency. The more I grow, the more I want to be in line with everything they say. It takes a lot of growth to get there, but the more I use my agency to be in line with the prophet, the more peaceful I feel, and the more often I feel the spirit. You may not have the experience of having family members to learn from, but thanks to your faithfulness your children will! I have thought about that, and the great responsibility I have in that area, to become that person. I’ve also realized that where I don’t have the family to turn to, I can “adopt” people I respect into those roles. Once I had that thought, a retired couple came to mind who I think would fill that role, and be happy to. Amy, I love your insights and the way you express yourself, etc. I am looking forward to your first book – a sure best-seller. Thank you Bill! I would love it if a book I wrote worked out that way someday!